Intrigued by the title yet? Well, it didn’t start out as a marathon mission, I just decided to add that part in. 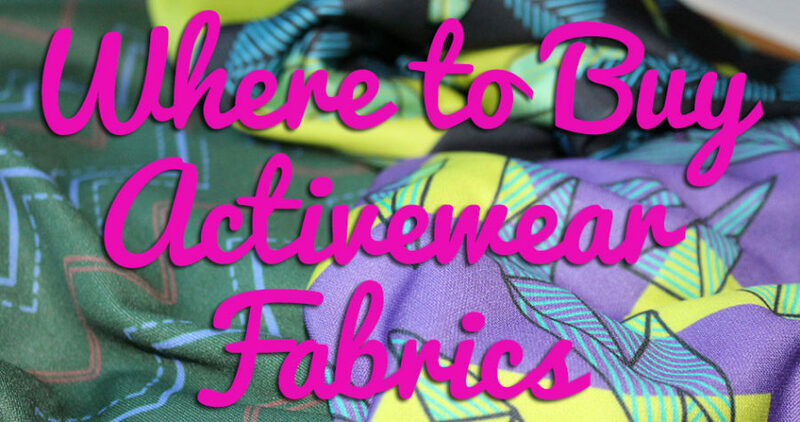 But let’s start at the beginning – I’ve long said that I love FunkiFabrics’ lycra (the standard “Flexcite” stuff), but that I personally wouldn’t wear it to run anything longer than a half marathon, and only then in cool conditions, as it isn’t wicking. 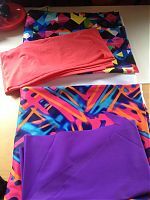 I’ve made loads of leggings and shorts out of their digitally printed lycra over the years, and it really is fantastic quality – never fading, or pilling, or bagging out. But I still wouldn’t wear it to run a marathon. 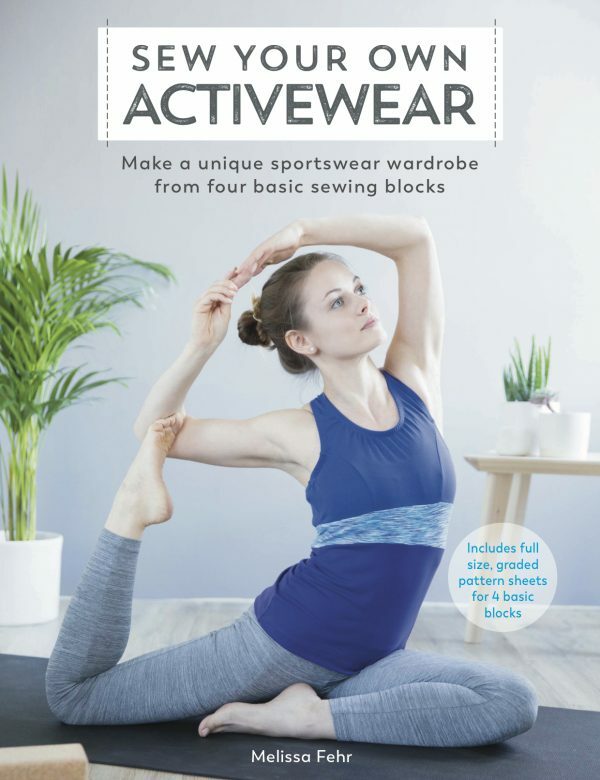 I finally just up and asked Funki if they had any plans to ever print onto a wicking lycra base, since they sell supplex and now compression fabrics, but only in plain black or white. Cue a bit of technical discussion on their end, and then about a month ago they asked if I wouldn’t mind testing out two different new base fabrics and giving them my opinion as both a sewist and a runner. Umm, would I??? So just before we left for NYC, my two experimental Funki flavours arrived, one with the Beam Two Bright print and the other with Checker Magic Multi, plus some really geeky technical specs of each base fabric, plus their regular Flexcite data sheet for comparison. I read the data sheets, picked the one I thought would probably be best, the went away to NYC and promptly forgot which was printed on which base. Which was good, as it’s better for testing purposes if you’ve not already formed an opinion! 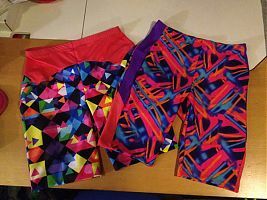 After a quick prewash, I sewed the Beam Two into a pair of Duathlon Shorts and the Checker Magic into my Steeplechase Leggings, both biker short length, and with scraps of wicking lycra for the sides and yoke. I ended up testing both by running (I had planned to cycle in one, but plans fell through), and in warm weather, too – so the tests were under as similar conditions as I was able to get! 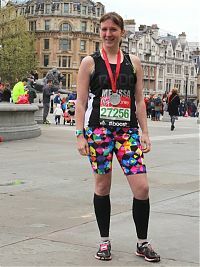 I wore the “Checker Magic” / Steeplechase pair to run the second half of the London marathon route with friends (about 14mi at steady pace, for 2hrs) a few Sundays ago. It was a sunny day, and feeling pretty warm in general – my Garmin data says it was 10C and sunny, but I’d estimate that by the end it was certainly closer to 15-17C. In any case, this pair felt great, no issues at all in terms of feeling cloying or rubbing, or anything. Pretty boring, with nothing to report. 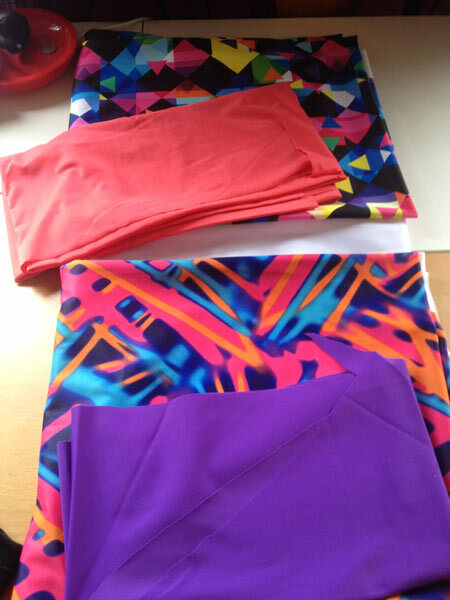 Remember back in April when I helped Funkifabrics road-test some new technical lycra fabric bases? 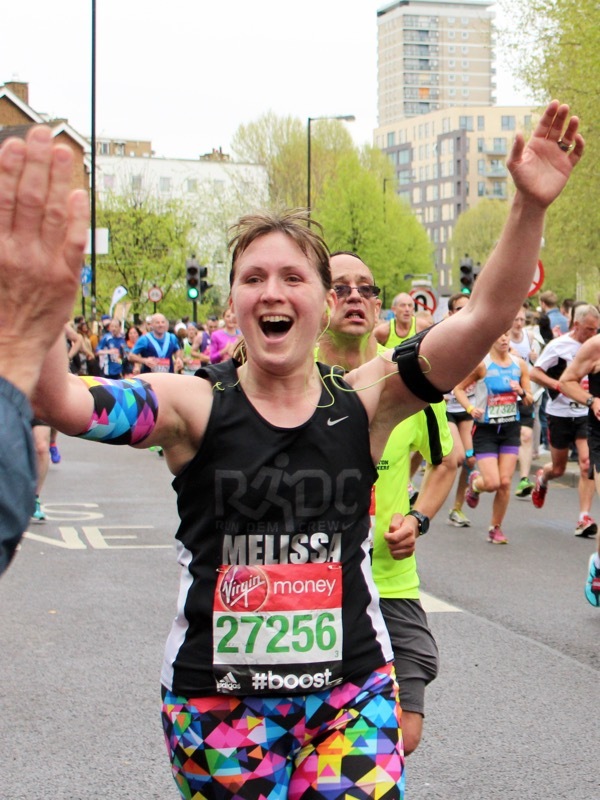 I had two bases to choose from (onto which they printed my choice of designs), so I went off on some intense runs in warm weather, and ultimately decided on one, which I then went and ran London marathon in! 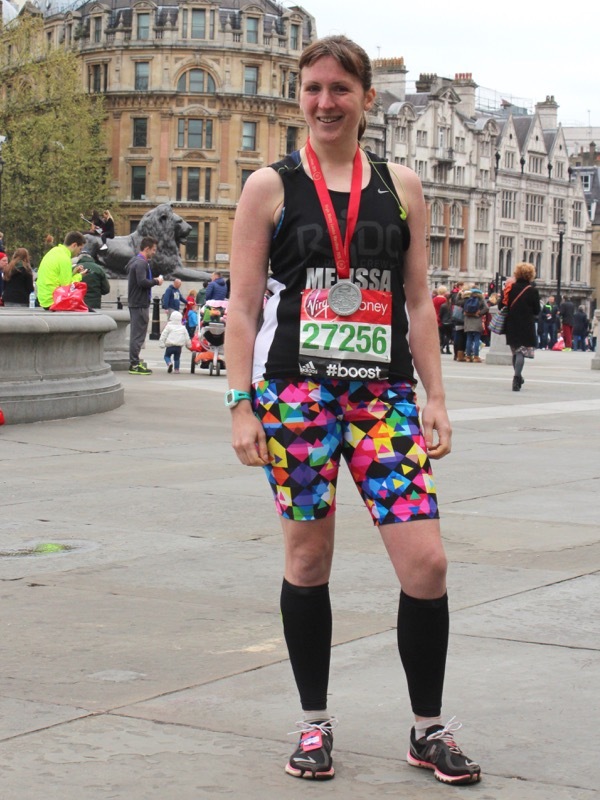 Post London marathon in my experimental Funkifabric Steeplechase Leggings shorts! 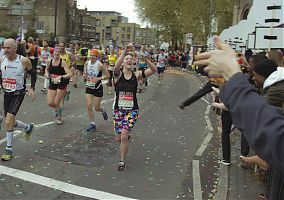 Well, the same tech fabric I ran the marathon in is now available, and in a collection of twelve limited edition prints! 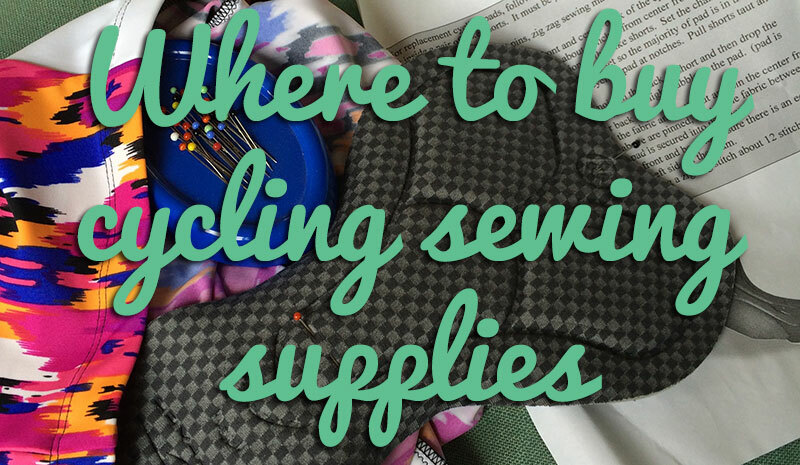 You can read more about their selection process (which involved feedback from their customers) as well as links to buy each pattern in their blog post here (and no, they’re not planning on offering the tech base in solids yet so ignore the sports bras). They’ve also got a rare 20% off everything sale running until tomorrow night (midnight BST, 10 June) which includes these new bases! I’ve been buying Funki’s regular Flexcite lycra for nearly two years now and this is only the second time I’ve ever seen them do a sale, so if you’ve been waiting, I’d buy now!